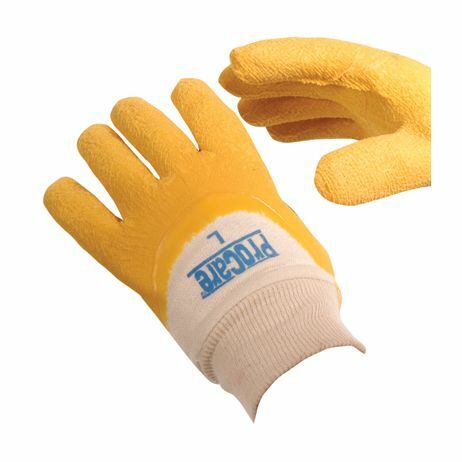 Home>Hand Protection Products>Coated, Laminated & Dipped Gloves >ProCare™ Rubber Krinkle Coated - Knitwrist/Sold by the dozen. 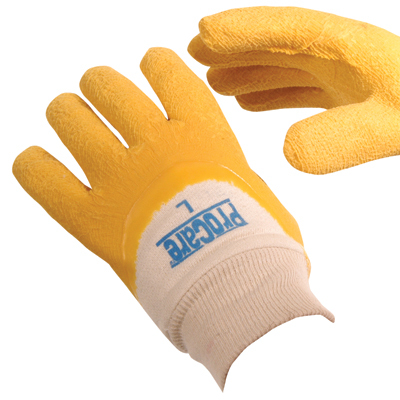 ProCare™ Rubber Krinkle Coated - Knitwrist Rough-textured natural rubber coating provides excellent grip and good cut resistance for handling sharp metal or glass. High abrasion resistance properties for handling lumber, block, and cement. Sold per dozen.